Whether you are looking for a new front door to secure your property, or for a back door to connect inside and outside spaces, our range of doors are suitable for all demands. Whatever the style of your home, we have a door to match. Why choose doors from DW Windows? A front door is often the first thing noticed about a home – whether that be for the right reasons or not! Ensure yours enhances your home’s kerb appeal by choosing one from our range. 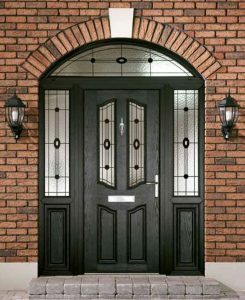 Ideal for entrance doors, we have a wide selection of uPVC and composite styles. Either offer impressive security and can be customised with your choice of colour and hardware. Leave the hassle to our teams, whilst you sit back, relax, and look forward to your new door! Whether you have a conservatory or simply want a connection between your kitchen or lounge and the outside, modern rear doors are a great way to make the most of all of your spaces. With the latest patio, multifolding and French doors, you can seamlessly connect the various spaces of your home. Also let the light in and make spaces feel far more spacious, all without compromising on the security of your property. Arguably the most important element of a door, the level of security is what gives you peace of mind that you and your loved ones are safe. A door from DW Windows is sure to meet your security needs thanks to the latest secure frame designs and high-tech locking systems. We also offer additional security features like spyholes and door chains so you can feel even safer! There are even more benefits that come from owning one of our doors. Thanks to their professional installation, there’s no chance of a draught occurring. You’ll also have less noise pollution coming through your door, which means there are fewer interruptions as you relax within your home. Every single one of our doors will enhance your home with thermal performance, security, and a host of other benefits. A new door from DW Windows is therefore a simple decision to make – all you need to do is worry about the colour! A cost effective entrance door solution to enhance the kerb side appeal of your home, and add an elegant finishing touch. 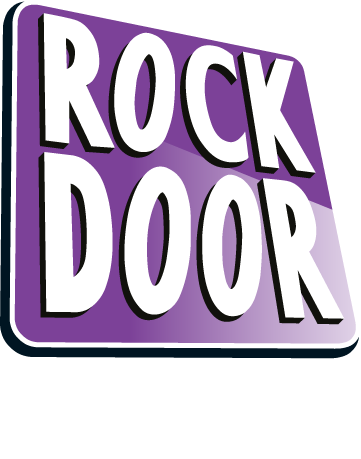 Choose from a wide selection of the latest composite doors; the most durable entrance doors on the market. Give your home a touch of elegance, and make the perfect entrance to outside patio or garden areas. Give your home a touch of character and let in a breeze – all without effecting the safety of children or pets. Let in huge amounts of light and gain full views of the outside, all without compromising on thermal performance. Benefit from sleek multi-folding doors that connect your inside and outside living spaces.